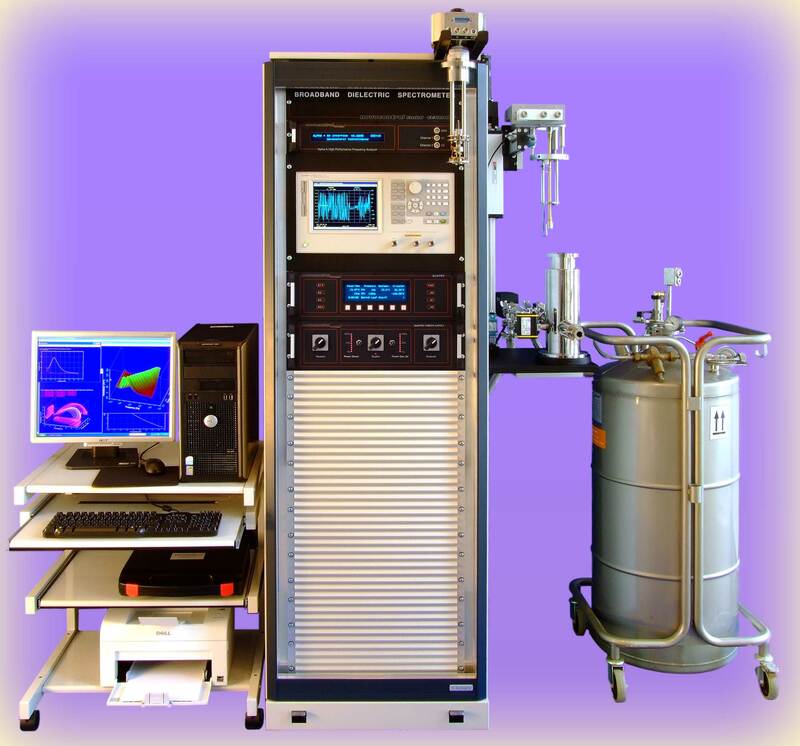 Our broadband systems for dielectric and impedance material spectroscopy cover a frequency range of more than 16 decades from 3 μHz to 3 GHz. Most system operate in the frequency domain and measure directly the complex impedance of a sample capacitor as a function of frequency, temperature, ac voltage, dc bias, pressure and time (or any combinations of these quantities up to 4 dimensions). From the sample impedance, the other dielectric parameters like complex dielectric function or complex conductivity are calculated. In addition, at frequencies from 1 MHz - 3 GHz, measurements of the magnetic complex permeability are supported. Three temperature control systems from −160 °C to 400 °C are available as an option and maybe combined with any dielectric and impedance measurement system. 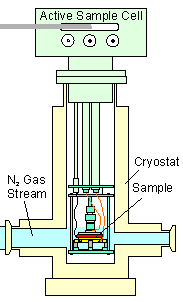 For frequencies below 1 MHz, a high pressure - temperature control system and high temperature control systems up to 1600 °C are offered. Thermally stimulated depolarization (TSDC) and time domain measurements can be added. All systems are turnkey, modular and full automatically operated by the Windows software package WinDETA. Further data evaluation like non linear curve fitting is supported by the WinFIT software. 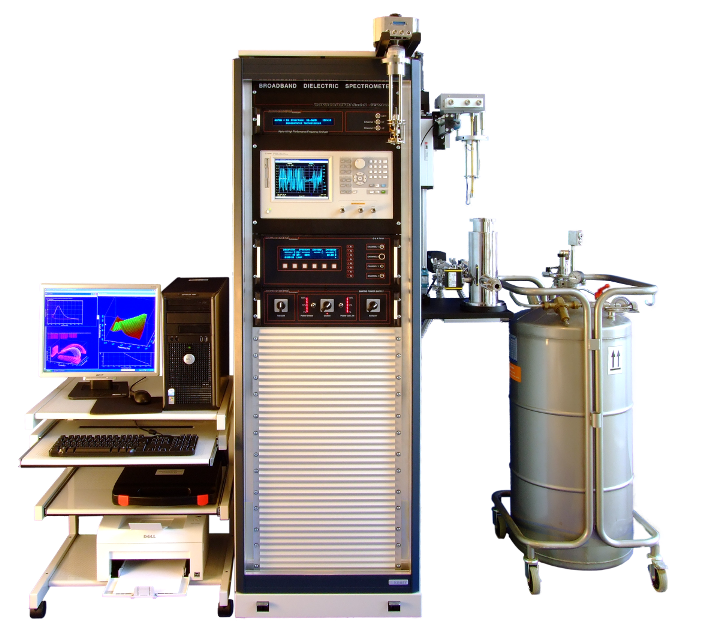 BDS Systems are dielectric/impedance spectrometers from 3 μHz to 3 GHz without temperature control. They include an Alpha- and/or RF impedance analyzer, sample cell(s), WinDETA- WinFIT software and computer with GPIB card, monitor and printer (data acquisition unit). Concept Systems are based on BDS systems and extend them by one of our temperature control systems. Systems are turn key and in most cases rack mounted. The RF Extension extends Concept systems with frequency range < 10 MHz to microwave frequencies up to 3 GHz. Adds an RF impedance analyzer, RF sample cell, RF extension line, RF mounting rack and WinDETA RF driver to an existing Concept system.